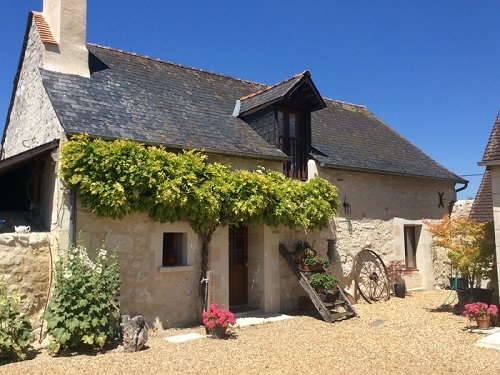 With bills going up and the exchange rate to take into consideration, buying a property in France that can double as a business premises is a popular way to make the move abroad and keep money coming in. It’ll keep you busy too. Traditionally, a gîte complex or a house with a few spare rooms, that can be used to provide B&B accommodation, tends to attract the most interest as they are sociable activities and require relatively few specialist skills or equipment compared to some other options on offer. Vineyards in France are also appealing. It can be very hard work and does require some specialist know-how, but buyers can arrange to learn the ropes from the vendors themselves who are mostly happy to help the vineyard thrive under a new owner. 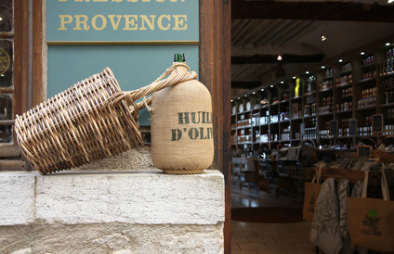 In some cases, it might also be possible to secure a home with potential for more than one business, for example an olive oil farm with its own shop and a gîte attached. If you have experience working in a shop, perhaps you might choose to take one over in France. Buying an established business as opposed to starting up your own can have its advantages. You can start earning money from day one through existing customers and you may inherit a number of trained staff to help you. If you decide to take over an established business, as you would if you were buying anywhere else, it is important to make sure that the business has the potential to make money and is not in debt. As well as looking at its current financial status it will be important to look at how the business has evolved and in which direction it is heading. Most importantly, why are the current owners selling? Ask around the local community and see what you can find out about the business. Give yourself enough time. You’ll need to become familiar with the area, prepare a budget, wait for diagnostics, talk to experts, evaluate the tax implications. Don’t rush into a decision. Draw up a business plan. Is the idea a viable option in the long term? Take into account the initial cost of purchase plus, renovation, running costs and mortgage repayment. Then you can calculate how much income is needed to break even, and how much to make a profit. You can compare this to the demand for the product and see if the cold hard numbers makes sense. Always add reserve funds for when things don’t go to plan as in the case of an illness or the recent economic downturn. Remember to include taxes and social charges. Check that the property has all applicable certificates for intended use and their respective dates of validity. The vendor is obliged to provide a number of statutory survey reports, which you should verify with the notaire. These surveys fall well short of a full building survey, so do not be over-reliant upon these reports. The vendor is also obliged to make a number of statutory disclosures, which you should verify in front of the notaire and include in the contract, e.g. condition, tenancies, rights of way, etc. Establish with the vendor, and confirm with the notaire in the contract, the fixtures and fittings that are to remain in the property. Insist that any clause that exonerates the seller from ‘hidden/latent defects’ is not included in the sale contract. Determine ownership structure and inheritance implications. Consult a professional with a good reputation to act on your behalf. Ask for references. If the seller owns additional land or buildings adjoining the property not included in the sale, see if you can include a clause a right of first refusal clause in the event of future sale of the property in case you are in a position to expand. In the case of a larger business, such as a vineyard as opposed to a B&B, there may be employees to consider. Become familiar with the costs and obligations of an employer. Prepare a marketing plan. There are two main choices: to establish your business close to competing ones and benefit from the mutual promotion (identification) or go it alone and set up where you are the only one doing it (differentiation). It is important to be clear on what your USP (unique selling point) will be, to set you apart form the competition. Factor in the cost of advertising and take advantage in the free publicity you may get when you open (local media, trade news, etc). Account for seasonality. Check with local business, don’t try to guess what the seasons will be because they can vary greatly depending on location. The holiday season is relatively short so you need to make the most of it. You can do winter lets at a reduced rate as in October half term, Xmas and New Year, but account for energy costs, firewood etc. so as not to find yourself operating at a loss. Set it up from the beginning so that it can be easily maintained. Durable. Simple. Plan for the long term. As mortgages are comparatively cheap in France, and can offer some tax advantages if you relocate, you should consider buying with a French mortgage on the property. If you are seeking a mortgage to buy the property it is imperative you include a conditional clause in the sale contract. You should also include conditional clauses relating to planning and other matters as necessary. Prequalify to save time and be in a stronger position in case you are bidding against another buyer. You will be dealing with repayments, revenue and cost structures in different currencies. Secure a long-term currency strategy to minimise the effect of currency fluctuations. If you follow this advice you will be in a stronger position to ensure the secure a reliable income stream. Read a case study from FrenchEntrée customer, Nicholas Hayward, who switched a job in the city for the slopes of the French Alps. Find out about the currency implications of setting up a business in France.